In 1985 the City of Duncan began the City of Totems project under Mayor Douglas Barker (1919-2003) as a way of attracting visitors to Duncan. The project involved the commissioning and acquisition of totem poles for display on downtown streets. 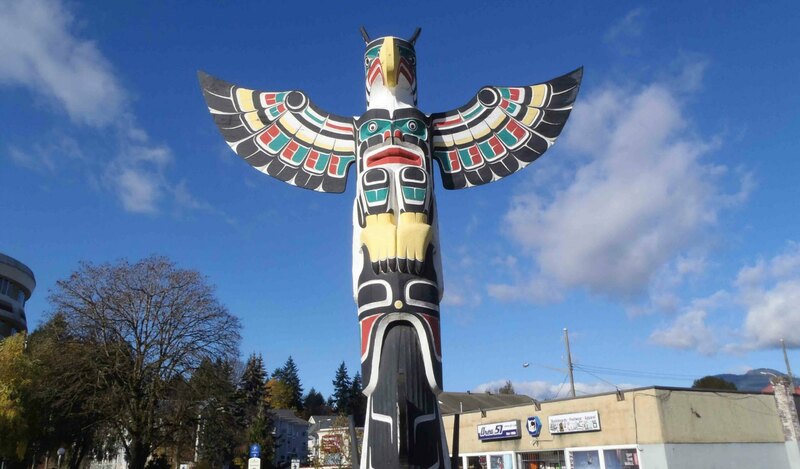 The City of Duncan’s totem pole collection is displayed on various streets in downtown Duncan and at selected sites outside the downtown core. For those wanting to see Duncan’s Totem Poles, we have included separate pages for Totem Poles in Downtown Duncan and Totem Poles Outside Downtown Duncan. Sea and Sky totem pole, Station Street at Government Street, downtown Duncan, B.C. Also see Totem Poles Outside Downtown Duncan for more information on the City of Duncan totem pole collection.